Nashville's greenscape. Photo by Gigi Hopkins. 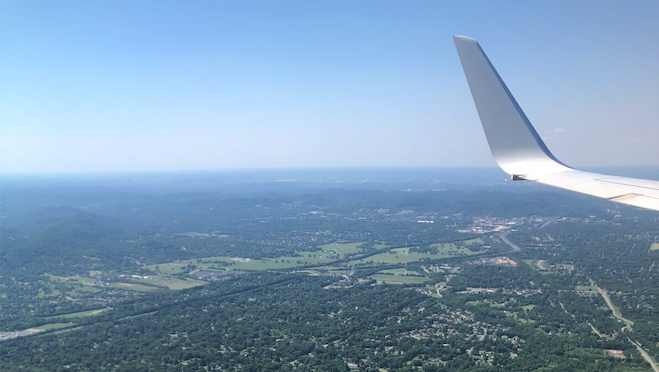 Flying into Nashville, you immediately notice how lush and green everything is. From the sky, it looks like an outdoorsy-wonderland. And after a recent trip there, I was delightfully surprised to discover that Nashville is so much more than honky tonks, fried chicken, and biscuits—not that there’s anything wrong with any of those things! But a 10-day trip full of them can take a toll on your body. Thankfully, I got a chance to find out what all the healthy Nashvillians are up to. 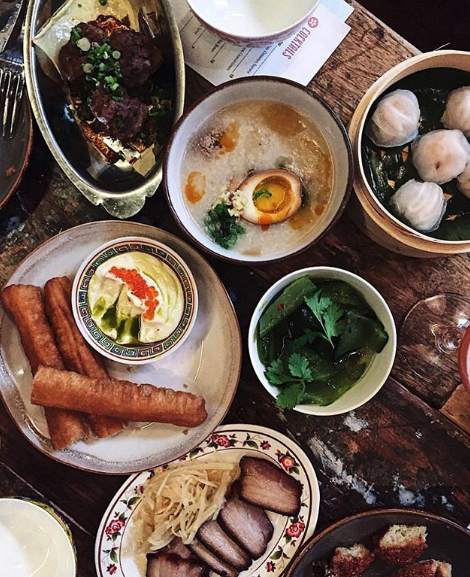 Here are 14 of our favorite health and wellness finds. View from the trails. Photo via @oliviaclark. 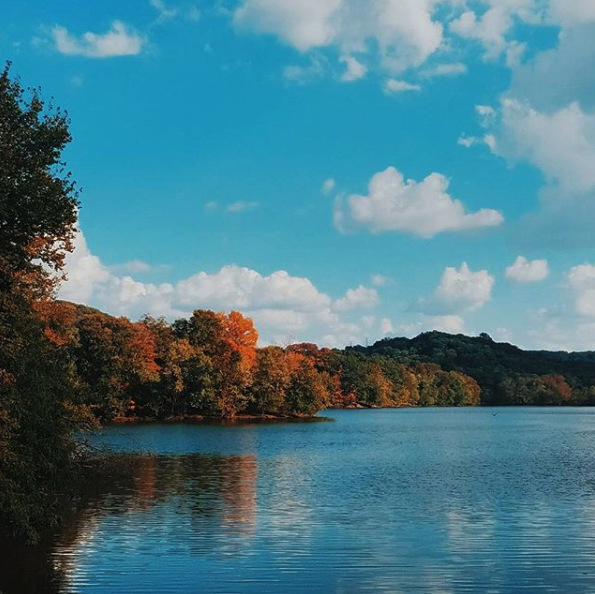 Some beautiful hiking trails can be found much closer to town as well, with the Radnor Lake State Park located just on the edge of Nashville. This 1,332 acre nature preserve offers five miles of unpaved trails through woodlands surrounding the lake. It is a beautiful green space and one that oozes calm. You might even get the chance to spot some wildlife native to Middle Tennessee, including river otters, beavers, mink, muskrat, bobcat, coyote and the white-tailed deer. Beauregard hosts workshops that address physical demands specific to musicians and creatives. Photo by @hotyogaeastnashville. There are an impressive amount of yoga studios scattered around town. I decided to check out the Power Flow class at this local studio in East Nashville. 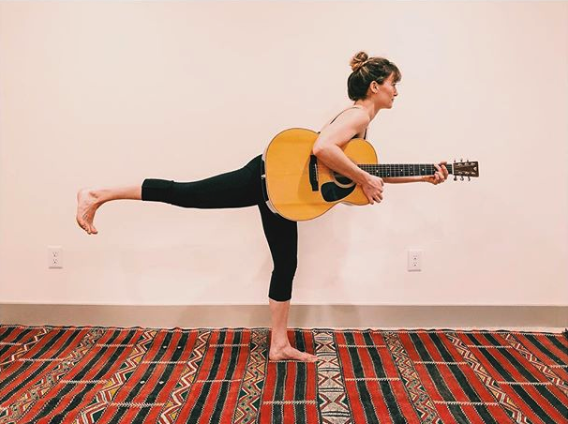 Led by Rachel Beauregard (who, as it seems with most people in this city, is an amazing back up singer for a very famous American songwriter while moonlighting as a yoga teacher) the class was held in a heated room and was incredibly challenging. Fig leaf panna cotta, balsamic, amaretti from the late summer menu. Photo via @goodasfolk. 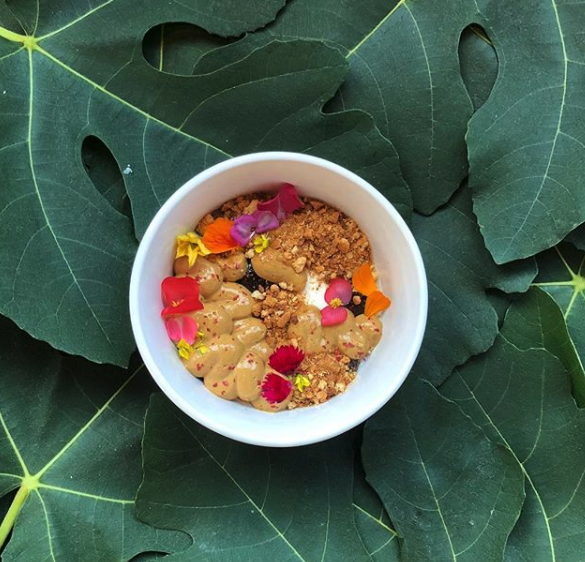 Of all the eating I did in Nashville, my favorite was at Folk—the newest venture by Philip Krajeck, chef and owner of Nashville’s acclaimed Rolf and Daughters. Where Rolf and Daughters is pasta, Folk is pizza. And it’s amazing. They have an incredible line-up of fresh salads and veggie-centric dishes showcasing local and seasonal produce from local Rocky Glade Farm in Eagleville, Tennessee. Phil works closely with these farmers for both of his restaurants, who grow specialty greens, herbs and vegetables just for him. Folk is the kind of neighborhood spot you can pop into for a quick drink and snack at the bar, or instead grab a table in the restaurant and settle in for a bit longer. The pizza is the real deal—made using custom-milled flours, sea salt, water and wild yeast—the crust is light and chewy, just the way it should be. Float on. Photo by @puresweatfloatstudio. Belle Meade, one of Nashville’s most exclusive neighborhoods, is home to beautiful tree-lined streets and incredible luxury estates. It is also home to Pure Sweat + Float Studio (with a new location opening in Franklin later this year) which offers full spectrum infrared saunas and float therapy. 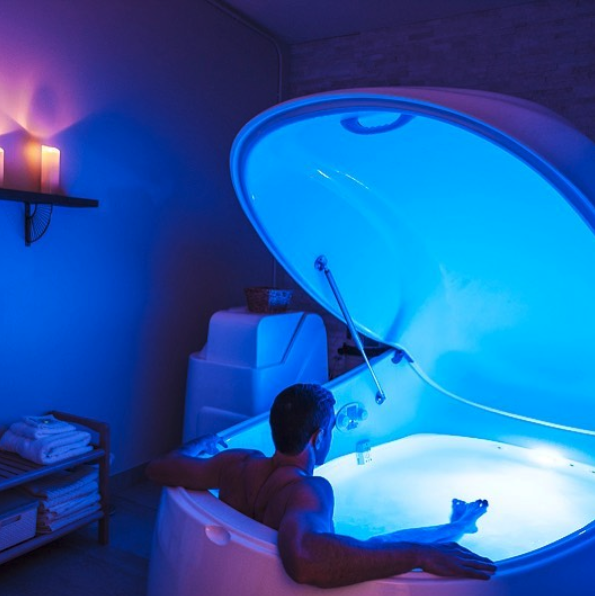 A great place to visit if you want to enjoy the buoyancy and healing effects created by the dense Epsom salts of the float pods, or the gentle, therapeutic benefits of infrared heat. Owner Bambi Watt strikes a pose. Photo by @b.w.fitness. Willow Pilates Studio in the upscale Green Hills neighborhood is just 10 minutes from the city centre. Willow has been voted Nashville’s Best Pilates Studio, so I figured it was a good place to start. This lovely studio space has been helping clients build longer, stronger, healthier bodies for almost 20 years. Stocked up. Photo by @lemon_laine. A lovely little natural beauty and wellness shop is Lemon Laine, on the east side of town, which is great for clean beauty and wellness products. I suggest booking a treatment at the Lemon Laine Oil Bar where you can mix and match your own formulas, using essentials oils from seeds, nuts and plants. The friendly team at Lemon Laine blend the formulas on the spot to meet your specific skin needs. Guest chef's are welcome at Butcher & Bee. Photo by @bandbnashville. Also in East Nashville, this restaurant with an ever-changing menu showcases locally sourced ingredients and sustainably raised meats. There is always something healthy and delicious to be found here. I like their generous selection of Mezze plates (think Fire Roasted Carrots with coconut, peanuts and samba onions; Grilled Okra with charred citrus kosho, benne) and their Avocado Crispy Rice from their larger plates menu, or the Lettuces dish which comes with grilled zucchini, strawberries, and lemon-buttermilk vinaigrette. 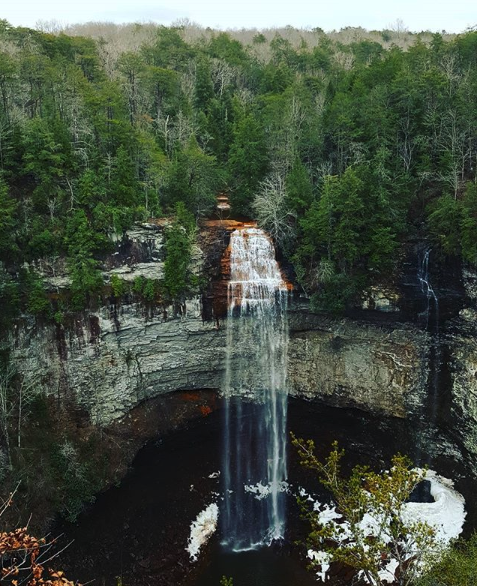 The tallest waterfall in Tennessee. Photo by @antonimusmaximus. 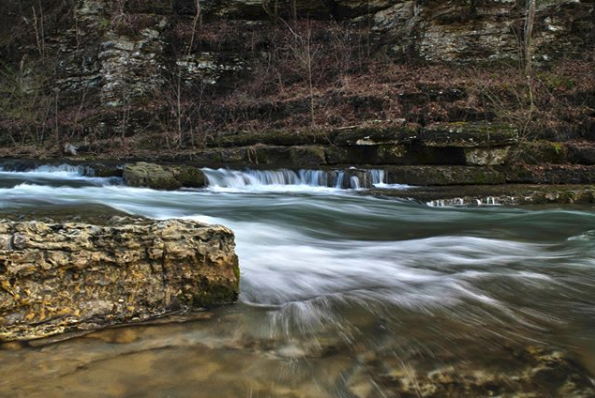 Tennessee’s largest and most visited park, which takes up more than 26,000 acres. Here you will find beautiful cascades, gorges, waterfalls and streams to explore. The Fall Creek Falls are one of the biggest waterfalls in the US. Also worth checking out is the Foster Falls State Park—home to an incredible 60 foot waterfall that sits pretty in a beautiful gorge easily reached from the car park via a two-mile hiking trail. The perfect place for a dip. 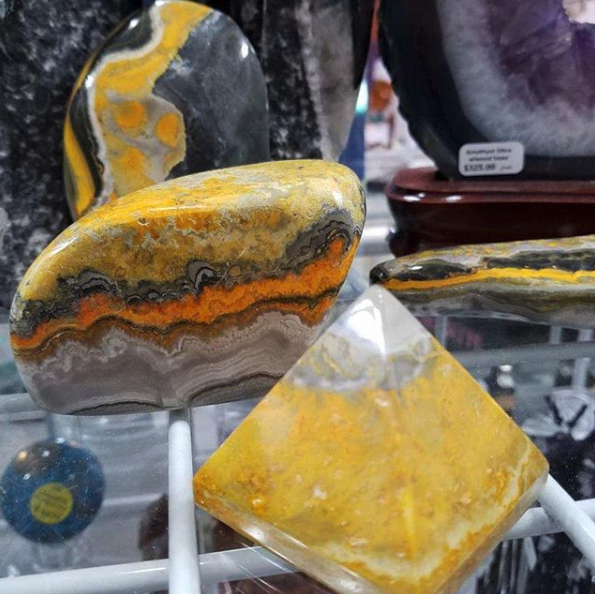 Because wellness is a multifaceted industry, I popped into Cosmic Connections, a naturalistic, holistic, metaphysical shop, the perfect spot if you are in need of a new crystal, some incense or some Palo Santo sticks. Health served up. Photo by @nashventures. 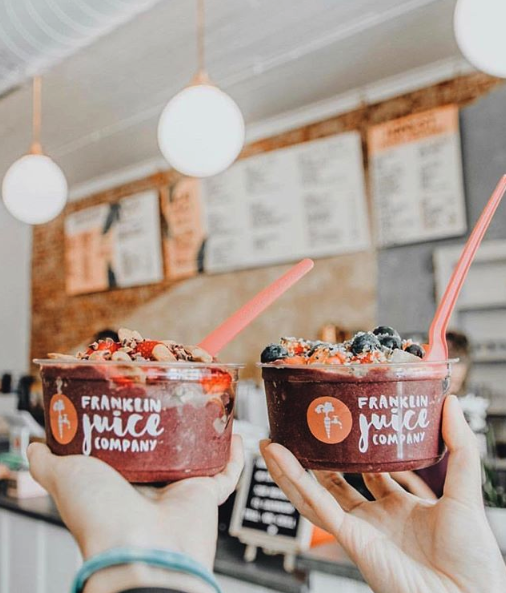 12th Avenue South (another great neighborhood for a stroll) is home to the Franklin Juice Company (they also have another location - their original - in the charming leafy town of Franklin, 45 minutes outside Nashville, which is definitely worth a visit as well. It’s the perfect stop for a cold-pressed juice. My picks? The Green-Go Juice (green apple, cucumber, mint, romaine, kale, lime, spinach, celery) and the acai bowl. 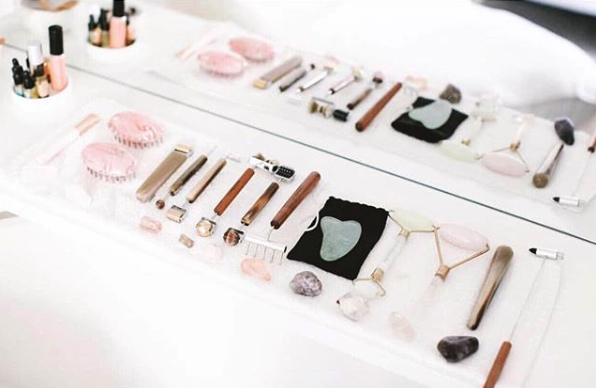 Holistic facial tools. Photo by @poppyandmonroe. A perfect spot for pampering. 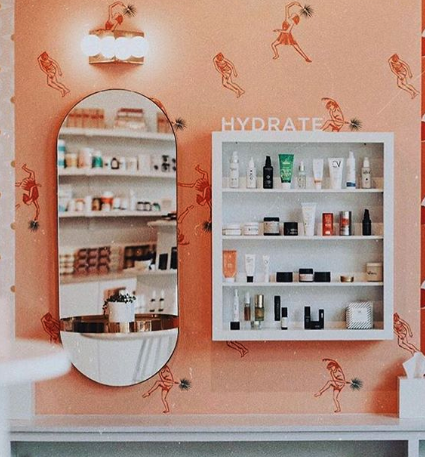 If you are in the mood for an eco-friendly mani or pedi, or perhaps an exfoliating mud mask for your bikini line, head to the all-natural beauty parlor that is Poppy & Monroe. For one of the best blowouts in town, head to the Blow Out Co.They have a bunch of locations around town, though I’m partial to the one in the Gulch. The Blackburn Fork River above Cummin's Falls. Photo by @aw_howell. With incredibly diverse and varied natural landscapes, Tennessee has some of the most beautiful state parks in the the US (56, in fact), perfect for hiking, fishing, boating, biking, camping and chasing waterfalls. It is quite amazing that you can reach some outrageously beautiful waterfalls within only 45 minutes. There are many to choose from, but I recommend the Cummins Falls State Park, an absolutely idyllic 282-acre park with a stunning swimming hole and the Cummins Falls themselves, the eight largest in Tennessee. An abundance or organic foods. Photo by @theturniptruck. The Turnip Truck is a locally-owned natural food grocer in East Nashville (with another location in the Gulch) that has been providing fresh, local, organic, and whole foods to the community for almost 20 years. Grab a juice from the juice bar and stock up on some fresh produce. These guys pride themselves on freshness. “The fresher the food the better it tastes,” as they say, “and is often more nutritious.” They also truly value their relationships with farmers, setting out to help connect them with the local communities they serve. Knowing the source and quality of their food thanks to their trusted farmers makes this a great spot to stop. 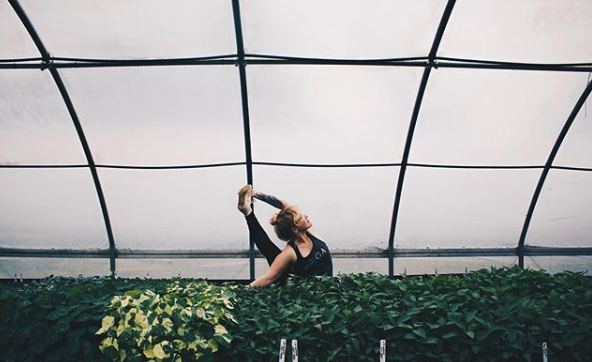 Yoga with a side of herbs. Photo by @greendoorgourmet. Another winner is Green Door Gourmet, located along the Cumberland River. This 350 acre USDA certified organic farm, on-farm market, and agritourism destination is definitely worth the stop. 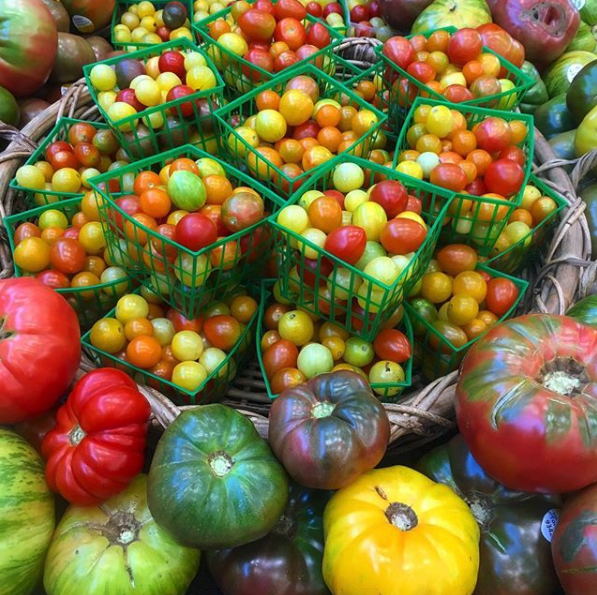 At Green Door Gourmet, they grow a wide variety of fruits, flowers, vegetables and herbs and offer their customers the best direct-from-the-field produce. Customers can choose to order their Local Farm Box, which creates a unique field-to-table experience delivered to their door. They also have an on-farm market where you can stop for any organic produce and flowers that have been grown on the farm.